Download "A guide to the evidence-based process for full registration SUPPORTING PROVISIONALLY REGISTERED TEACHERS"
2 SUPPORTING PROVISIONALLY REGISTERED TEACHERS ONLINE Teachers with provisional registration can access information and resources required to apply for full registration. Here you will ﬁnd detailed information on: Standards of professional practice Process to become fully registered Support Dates for information sessions Originally designed by Catherine Howarth Creative Published by the Victorian Institute of Teaching PO Box, Collins Street West, Victoria 8007, Australia The State of Victoria, Victorian Institute of Teaching, 0/0. Copyright protects this publication. All rights Reserved. Permission is given for copying of this document for use within all school sectors and for purposes permitted by the Copyright Act 98. Other reproduction by whatever means is prohibited without the prior written permission of the Victorian Institute of Teaching, Victoria. 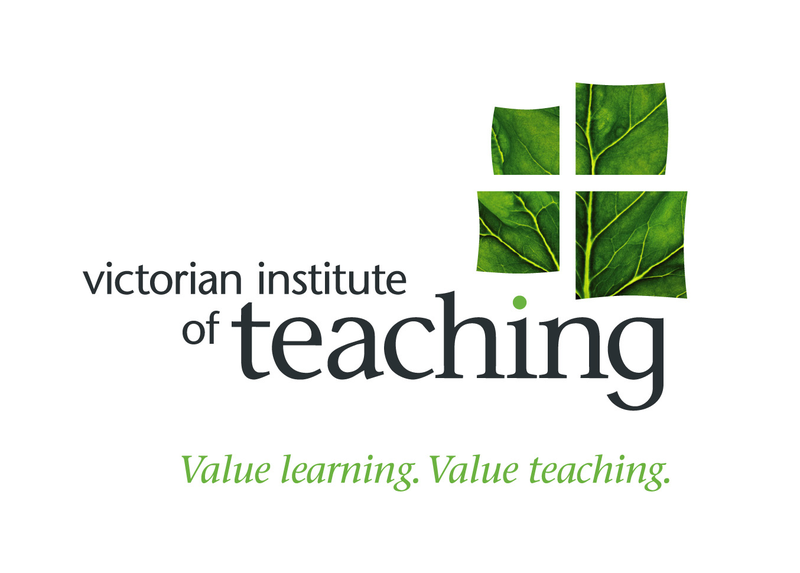 4 ABOUT THE VICTORIAN INSTITUTE OF TEACHING The Victorian Institute of Teaching regulates the teaching profession in Victoria. The Institute is an independent statutory authority reporting to the Victorian Parliament. Registration by the Institute provides assurance to the public that teachers are qualified, suitable to teach and meet and maintain standards of professional practice. Registration recognises the expertise of teachers and protects the profession s high standards of practice and conduct. WHAT IS FULL REGISTRATION? Victorian school teachers must be registered with the Victorian Institute of Teaching. As a new teacher you are provisionally registered for up to two years. To be granted full registration you need to: Have accumulated at least 80 days of teaching, Have met the Australian Professional Standards for Teachers at the Proficient Teacher level. This is done through an evidence-based process undertaken in the school or setting/s where you teach. The evidence-based process ensures that you have the opportunity to develop your knowledge and practice to meet the standards within a supported environment. It requires you to work with more experienced colleagues and to reflect on the effectiveness of your practice in relation to the learning of your students. The Institute collaborates with the Government, Catholic and Independent school sectors to ensure this is integrated with your school induction and to train the colleagues who will mentor you during this time. You may apply for a further two-year period of provisional registration where personal circumstances or lack of employment means that you are not able to meet the requirements for full registration during your initial period of registration. This guide explains the evidence-based process you will undertake to become fully registered. Colleagues who are mentoring you will use it, as will your principal or members of the leadership team who support you in this process. 6 This page has been intentionally left blank. 7 STANDARDS AT THE PROFICIENT TEACHER LEVEL PROFESSIONAL KNOWLEDGE PROFESSIONAL PRACTICE PROFESSIONAL ENGAGEMENT 7 KNOW STUDENTS AND KNOW THE CONTENT PLAN FOR AND CREATE AND MAINTAIN ASSESS, PROVIDE ENGAGE IN ENGAGE PROFESSIONALLY HOW THEY LEARN AND HOW TO TEACH IT IMPLEMENT EFFECTIVE SUPPORTIVE AND FEEDBACK AND PROFESSIONAL WITH COLLEAGUES, TEACHING AND SAFE LEARNING REPORT ON STUDENT LEARNING PARENTS/CARERS AND LEARNING ENVIRONMENTS LEARNING THE COMMUNITY.. Physical, social and Content and teaching intellectual development strategies of the and characteristics of teaching area students Apply knowledge of the Use teaching strategies content and teaching based on knowledge of strategies of the teaching students physical, social and area to develop engaging intellectual development teaching activities. and characteristics to improve student learning.. Understand how students learn Structure teaching programs using research and collegial advice about how students learn.. Students with diverse linguistic, cultural, religious and socioeconomic backgrounds Design and implement teaching strategies that are responsive to the learning strengths and needs of students from diverse linguistic, cultural, religious and socioeconomic backgrounds.. Strategies for teaching Aboriginal and Torres Strait Islander students Design and implement effective teaching strategies that are responsive to the local community and cultural setting, linguistic background and histories of Aboriginal and Torres Strait Islander students.. Content selection and organisation Organise content into coherent, well-sequenced learning and teaching programs.. Curriculum, assessment and reporting Design and implement learning and teaching programs using knowledge of curriculum, assessment and reporting requirements.. Understand and respect Aboriginal and Torres Strait Islander people to promote reconciliation between Indigenous and non-indigenous Australians Provide opportunities for students to develop understanding of and respect for Aboriginal and Torres Strait Islander histories, cultures and languages.. Establish challenging learning goals Set explicit, challenging and achievable learning goals for all students.. Plan, structure and sequence learning programs Plan and implement well structured learning and teaching programs or lesson sequences that engage students and promote learning.. Use teaching strategies Select and use relevant teaching strategies to develop knowledge, skills, problem solving and critical and creative thinking.. Select and use resources Select and/or create and use a range of resources, including ICT, to engage students in their learning.. Support student participation Establish and implement inclusive and positive interactions to engage and support all students in classroom activities.. Manage classroom activities Establish and maintain orderly and workable routines to create an environment where student time is spent on learning tasks.. Manage challenging behaviour Manage challenging behaviour by establishing and negotiating clear expectations with students and address discipline issues promptly, fairly and respectfully.. Maintain student safety Ensure students well-being and safety within school by implementing school and/ or system, curriculum and legislative requirements.. Assess student learning Develop, select and use informal and formal, diagnostic, formative and summative assessment strategies to assess student learning.. Provide feedback to students on their learning Provide timely, effective and appropriate feedback to students about their achievement relative to their learning goals.. Make consistent and comparable judgements Understand and participate in assessment moderation activities to support consistent and comparable judgements of student learning.. Identify and plan professional learning needs Use the Australian Professional Standards for Teachers and advice from colleagues to identify and plan professional learning needs.. Engage in professional learning and improve practice Participate in learning to update knowledge and practice, targeted to professional needs and school and/or system priorities.. Engage with colleagues and improve practice Contribute to collegial discussions and apply constructive feedback from colleagues to improve professional knowledge and practice... Interpret student data Apply professional learning and improve Use student assessment student learning data to analyse and evaluate student understanding of Undertake professional subject/content, identifying learning programs interventions and modifying designed to address teaching practice. identified student learning needs. 7. Meet professional ethics and responsibilities Meet codes of ethics and conduct established by regulatory authorities, systems and schools. 7. Comply with legislative, administrative and organisational requirements Understand the implications of and comply with relevant legislative, administrative and organisational and professional requirements, polices and processes. 7. Engage with the parents/ carers Establish and maintain respectful collaborative relationships with parents/ carers regarding their children s learning and well-being. 7. Engage with professional teaching networks and broader communities Participate in professional and community networks and forums to broaden knowledge and improve practice.. Differentiate teaching to meet the specific learning needs of students across the full range of abilities Develop teaching activities that incorporate differentiated strategies to meet the specific learning needs of students across the full range of abilities.. Literacy and numeracy strategies Apply knowledge and understanding of effective teaching strategies to support students literacy and numeracy achievement.. Use effective classroom communication Use effective verbal and non-verbal communication strategies to support student understanding, participation, engagement and achievement.. Use ICT safely, responsibly and ethically Incorporate strategies to promote the safe, responsible and ethical use of ICT in learning and teaching.. Report on student achievement Report clearly, accurately and respectfully to students and parents/carers about student achievement making use of accurate and reliable records.. Strategies to support full participation of students with disability Design and implement teaching activities that support the participation and learning of students with disability and address relevant policy and legislative requirements.. Information and Communication Technology (ICT) Use effective teaching strategies to integrate ICT into learning and teaching programs to make selected content relevant and meaningful.. Evaluate and improve teaching programs Evaluate personal teaching and learning programs using evidence, including feedback from students and student assessment data, to inform planning..7 Engage parents/carers in the educative process Plan for appropriate and contextually relevant opportunities for parents/ carers to be involved in their children s learning. Figure : The Australian Professional Standards for Teachers at the proficient level. 8 PROVISIONAL REGISTRATION Provisional registration provides a period of time for you to show you can apply your knowledge in teaching situations where you have full professional responsibility for the learning of your students. This will be most effective when you are provided with structured induction and work with experienced colleagues. REQUIREMENTS FOR FULL REGISTRATION To be able to apply for full registration you are required to: Have accumulated at least 80 days of teaching from the date you were provisionally registered. Have demonstrated the Australian Professional Standards for Teachers at the Proficient Teacher level through an evidence-based process undertaken in the school/setting/s where you teach. THE EVIDENCE-BASED PROCESS The evidence-based process is designed to address the descriptors at the Proficient Teacher level through an inquiry into practice. It provides an opportunity for you to focus on an aspect of your teaching, to document evidence of your normal teaching work and reflect on your learning as a practitioner to demonstrate your proficiency against the standards. The evidence of professional practice can be developed across a number of groups of students and in alternative educational settings by teachers who are working as education officers. THE RECOMMENDATION PROCESS Once your evidence is complete you will present it to a school panel. The panel generally comprises: your school principal or their delegate a mentor who has participated in the Institute s training program a teaching colleague you nominate and who knows your work. This panel assesses your documented evidence of practice against the standards and their descriptors at the Proficient Teacher level and makes a recommendation to the Institute. Panel judgements must be objective and consistent across schools and workplaces. In some cases there may need to be variations to the panel composition. A recommendation of full registration is made when evidence is found against all seven standards. Where there is inadequate evidence the panel will recommend a continuation of provisional registration to develop practice in the areas where you are not yet proficient. APPLYING FOR FULL REGISTRATION You must make an application for full registration to the Institute. This is an online form that includes the recommendation report completed by your school principal. The Institute grants full registration based on the recommendation report provided. Where there is a discrepancy between the recommendation of the school and the opinion of the provisionally registered teacher the Institute will conduct an independent review of the evidence of professional practice. 9 THE EVIDENCE-BASED PROCESS PROVISIONAL REGISTRATION DEVELOPMENT OF PRACTICE TO MEET THE STANDARDS () Evaluating practice () Implementing action plan () Students context/ content () Action plan () Inquiry question (B) Professional learning APPLICATION FORM & RECOMMENDATION REPORT (ONLINE) APPLICATION FOR FULL REGISTRATION 7 Figure : The evidence-based process. 12 GATHERING EVIDENCE FOR FULL REGISTRATION TIMELINE Provisionally registered teachers will need to identify the learning needs of their students, establish their area of focus and undertake professional learning to address their students learning needs over an extended period of time. However, they should implement and evaluate their action plan over a period of about weeks. The implementation time needs to provide sufficient time for students to demonstrate learning in relation to the inquiry question. If they are a specialist teacher or do not have regular contact with their chosen students, they will need to extend the implementation time. A template is provided to assist in the documentation of evidence to demonstrate the standards of professional practice for full registration. This is not mandatory and teachers may use other ways of completing this documentation. However, all components of the evidence must be addressed. INVESTIGATING STUDENT LEARNING THE INQUIRY APPROACH The diagram below is adapted from Helen Timperley s cycle of teacher inquiry and knowledgebuilding. It provides guidance as to how you can evidence your practice and demonstrates the standards at the proficient level. () Evaluating practice () Students context/ content () Inquiry question (B) Professional learning 0 () Implementing action plan () Action plan Figure : The inquiry approach. Click on the relevant circle to read more on each area. 13 Context and content for student learning When identifying the knowledge and skills their students need, teachers can, at the same time, identify areas of their own practice that can be developed to support student learning. () Evaluating practice () Implementing action plan () Students context/ content () Action plan () Inquiry question Teachers need to know the level of learning and the range of factors affecting learning to understand the learning needs of their students. They should consider student learning needs in relation to the content they are teaching and what their students already know. (B) Professional learning Before beginning your inquiry you need to have spent some time getting to know your students as indicated above and have some understanding of their strengths and challenges. You will also need to have an understanding of the context in which you are teaching as well as relevant policies and priorities. A YOUR STUDENTS Select a class or group of students Select the students whose learning you want to develop further. Your inquiry can focus on one or more groups of students within a class or a whole class of students. If teaching individual students or small groups of students, they will become your selected group. If you select one of your classes or a small group of students within your class, give reasons for your choice. The following questions may help with your selection: Which students are where I think they could be/should be? How do you know? Which students are not performing at the level you expect? How do you know? B THE CONTEXT OF YOUR STUDENTS LEARNING What is the range of learning levels in your class or group of students? Show this by discussing the learning levels of groups of students and/or particular individuals in relation to the learning that is to occur. Explain how you have made these judgements. What are the factors affecting the learning of your students? Identify any linguistic, socioeconomic or religious characteristics of your students that affect their engagement with the content you are teaching. What will you need to do to address these? Consider any aspects of the cultural backgrounds of your students that affect the way they learn and the way you teach them. Consider particularly any Aboriginal or Torres Strait Islander students you may teach. What will you need to do to address these? Do any of your students have intellectual or physical disabilities? How will you ensure their participation in learning and include them in learning activities? 14 WHAT TO INCLUDE C The students:- Why you selected them. Their learning levels and how you know this. Their characteristics and how that impacts on your teaching and the way they learn. Their socioeconomic, religious, linguistic and cultural background and the impact of this. If they have physical or intellectual disabilities, how they will be able to participate in the learning of the class. CONTENT FOR THE PROGRAM OF LEARNING Provide documentation about the content you will be teaching for a program of learning that will span weeks. (Where a teacher sees their students less frequently, the learning may take place over a longer period of time.) Ask yourself, What knowledge and skills do my students need? Indicate where this content is placed within the wider curriculum. Show how the content you are teaching addresses development of the literacy and/or numeracy of your students. Where relevant, show how your content provides opportunities for students to develop understanding and respect for Aboriginal and Torres Strait Islander histories, cultures and languages. In addition, identify any information communication technologies (ICT) you will use. TIPS: TEACHING CONTENT AND PROGRAM OF TEACHING The program of teaching you select should be long enough to provide time for students to demonstrate learning but not so long that the documentation is onerous. WHAT TO INCLUDE Your program of learning could be existing or new How the program links to the broader curriculum What knowledge and skill level you expect students to achieve Annotate the program documentation to show how you: Develop literacy/numeracy Promote understanding and respect for Aboriginal and Torres Strait Islander histories, cultures and languages Incorporate new technologies. 15 D WHAT DO YOUR STUDENTS ALREADY KNOW? Assessment of prior knowledge enables teachers to effectively plan for next steps in students learning. How have you established the prior learning of your students in relation to the content of your program of learning? What can they do well? What areas need development? Professional discussions with your mentor and other colleagues and the opportunity for your mentor to work with you in your classroom will allow you to share observations about the current levels of learning of your students. Use this data and other information you may have, to consider learning outcomes that develop further what your students already know and are able to do. TIPS: ASSESSING PRIOR LEARNING Ways to assess prior learning could include: Questioning students Pre-testing Using data from previous reports and assessments Talking to teachers who have taught your students Running records Classroom observation of students Tools such as KWL, mind maps, De Bono Thinking Hats E THE STUDENT LEARNING OUTCOMES Drawing on the content of your program of learning, and the prior knowledge of your students, establish the learning outcomes. These learning outcomes should be achievable for students but also able to challenge them and develop their knowledge. List the learning outcomes for your students. WHAT TO INCLUDE Identify prior learning of students Outline the learning outcomes for your students Discuss how outcomes build on prior learning Explain how outcomes are achievable and challenging for students Identify students who need to be extended or given particular support. Explain what you will do for them. 16 By the end of this section you should have a clear idea of: the students whose learning is your focus the factors affecting the learning of your students the teaching content for your program of learning the prior learning of your students any additional learning needs of students student learning outcomes for the program of learning. This information will assist in establishing a question for inquiry. The inquiry question A IDENTIFYING YOUR INQUIRY QUESTION Understanding the backgrounds and levels of learning of their () () Implementing Action students helps teachers understand the challenges they may action plan plan face in ensuring all students achieve the learning outcomes for the program of learning. Teachers need to identify an aspect of teaching and learning they want to develop to maximise learning for their students. A question to ask that may assist with your thinking could include: So what s getting in the way of those students making the kind of progress you want for them/would expect? This can then be framed as a question for inquiry. The following examples may help in framing an inquiry question: How do I cater for the diversity of learning needs of my students? (You may focus on the whole class, small groups of students or specific individuals within the range of learning levels.) How do I manage the behaviour of individuals or groups of students to ensure learning occurs? Within this area of inquiry you may want to focus on specific behaviours (e.g. when students are working in groups or when they are engaging in practical classes). How do I use a range of resources and strategies to engage students? How do I use ICT to engage students with learning? How do I develop students as independent learners? How do I work with parents to improve student learning? How will I develop my knowledge when I am working in an area that is not my method? 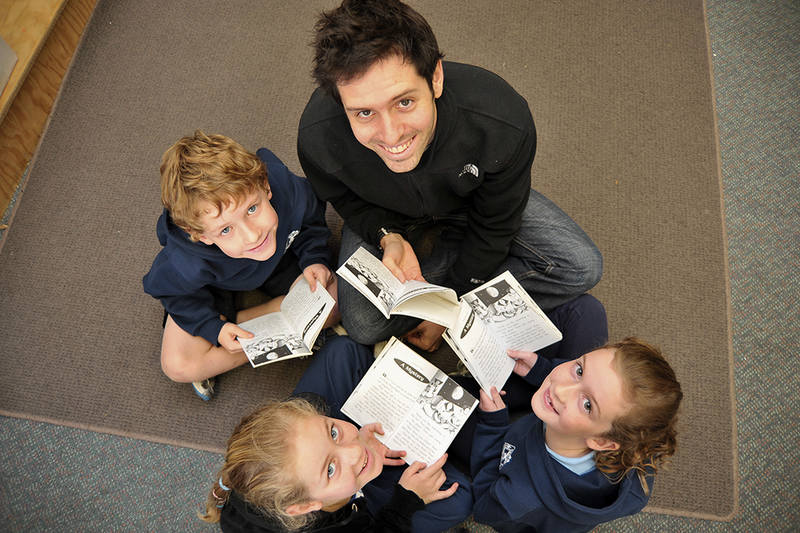 How will I cater for the literacy and/or numeracy needs of my students? It is important that the inquiry question identified is manageable within the time frame of the program of learning. Therefore, it may not address all challenges you face and may develop only one aspect of your teaching practice. () Evaluating practice () Students context/ content () Inquiry question (B) Professional learning Discussing your inquiry question with your mentor/experienced colleague may assist in delving deeper and dealing with any complexities that may emerge. This in turn may enable the targeting of professional learning required to support effective practice, which is the next step in the inquiry. 17 B YOUR PROFESSIONAL LEARNING Teachers need to identify their own learning needs to ensure that they are effective in the areas of student needs. Questions to ask include: What do I already know? What do I need to learn? What resources can be utilised? Using the professional standards and the descriptors attached to them at the proficient level can assist to identify areas for professional learning that will help you address your inquiry. You can access the professional standards on p. of this folder and at < Working with colleagues in your school or workplace There is much you can learn from your mentor or experienced colleagues, both in and out of your school or workplace. This learning can occur through professional discussions that explicitly address your inquiry question. Visiting the classroom of your mentor or experienced colleagues to observe their practice will also develop your knowledge about content and/or practice in relation to your question for inquiry. Undertake at least one observation of your mentor or an experienced colleague. TIPS: OBSERVING EXPERIENCED COLLEAGUES Ensure you have a focus for your observation that relates to your inquiry question. Questions to focus your observation could be: How does the teacher deal with difficult situations? How does the teacher address diversity in student learning needs? What does the teacher do that engages the students with the learning? How does the teacher present knowledge, skills and ideas? What sort of resources does the teacher use and how do the students react to them? How does the teacher provide feedback to students? () Evaluating practice () Implementing action plan () Students context/ content () Action plan () Inquiry question (B) Professional learning In the classroom: Think about what you see and hear. Observe the students. Question the students about what they are trying to achieve. Engage in professional conversations with your mentor or experienced colleague. You need to undertake and document at least two of these. One of these can be associated with your classroom observation or they can be quite separate conversations. 18 Professional reading and other activities If relevant to your inquiry question, link into professional learning activities that may be occurring in your school. You can also expand your knowledge by undertaking professional reading that relates to your area of inquiry. Your mentor or other colleagues may be able to assist you with this. Consider other professional development activities that may be available outside your school. You must keep records of this professional learning, including documentation of at least two professional conversations and one classroom observation. WHAT TO INCLUDE Document: Your inquiry question. The area of practice you intend to develop and how that will assist students learning. At least professional conversations and accompanying reflections. At least observation of a colleague s classroom practice and reflections. Other activities that have contributed to your professional knowledge and practice. What you have learnt and how that learning addresses your question for inquiry. By the end of this section you will have: identified your inquiry question identified your professional learning needs engaged in professional development activities, including: at least one observation of a colleague s practice at least two professional discussions. 19 The action plan The knowledge you have gained through your professional learning needs to be applied to your particular teaching context to address your inquiry question and develop the learning of your students. THE ACTION PLAN () Evaluating practice () Implementing action plan You need to develop an action plan that outlines how you will apply the new learning. This plan will be implemented over a period of weeks and provide sufficient time for students to demonstrate learning in relation to the inquiry question. () Students context/ content () Action plan () Inquiry question (B) Professional learning It is recommended that you work with your mentor and/or experienced colleagues to develop your action plan. You will be drawing on your learning from the professional discussions and classroom visits you have undertaken with your mentor or experienced colleagues. Further advice from them can assist you to develop the teaching activities, strategies and assessment tasks you will use in your plan. By assisting with the action plan your mentor will understand what you are trying to achieve and how you are trying to do this. Consequently, their time in your classroom when you implement your action plan will be effective because they will be directly focussed on your inquiry question. This will support targeted feedback. A COMPONENTS OF THE ACTION PLAN Your action plan should include: learning outcomes in relation to content. These may have been modified as a result of delving deeper into student needs and your professional learning learning resources, practices and activities you will use to teach the content assessment practices. Content and learning outcomes You have already established the content for your class or group of students over a week period and how this relates to broader curriculum expectations. You have also identified achievable and challenging learning outcomes related to the content to be taught that are based on the prior knowledge of your students. Your inquiry question may require you to develop your learning outcomes further, either for the whole class or for selected students or groups of students. Think about how you will know your change in practice has improved your students engagement in learning. What evidence do you need to collect to evaluate the effectiveness of your practice? 7 Include this in your action plan. Developing learning resources, teaching practices and activities You have identified the characteristics of your class of students and the factors affecting their learning. If you haven t already done so, relate these to your inquiry question. What do you need to include in your action plan that accommodates these factors? 20 In your planning also consider: the coherence and structure of the program you develop to facilitate learning for the selected students the resources you will use to teach the content (including ICT where relevant) and how they will engage your selected students the teaching strategies you will use to develop knowledge, skills, problem solving or critical thinking in your selected students how you will use verbal and non-verbal communication strategies to support student understanding and engagement with learning how and when you will provide feedback to your selected students on the progress of their learning in relation to the learning outcomes how you will engage parents or carers with the learning of your students. Developing assessment activities and practices To be able to reflect on the effectiveness of your practice you need to be able to assess the learning of your students in your area of inquiry. Your assessment of learning should include both formative and summative assessment strategies and activities, and these should be identified in your action plan. Formative assessment (for learning and as learning) Formative assessments will often be classroom based and will allow you to monitor the progress of your selected students as they engage in the content of the lessons. It also provides the basis for feedback that assists students to develop their learning to reach the learning outcomes. You can use strategies such as student observation and questioning or provide specific activities (this can include quick multiple choice tests or problem solving) to determine the level of understanding. Your feedback to students on their understanding may be verbal or written. Formative assessment enables you to evaluate the effectiveness of your action plan as you implement. Summative assessment (of learning) This type of assessment usually relates to a finished product or the culmination of learning to reach all identified learning outcomes. It is where you make a judgement about achievement of the learning outcomes based on the work a student produces. Often summative assessments are conveyed to students and parents through a formal reporting process. TIPS: DEVELOPING AN ACTION PLAN Document your action plan and make reference to: resources, teaching practices and activities to support student learning how you will provide feedback and assess student learning. 8 Show how these will address the inquiry question and improve the learning of students. At the end of this section you will have developed an action plan to address your inquiry question that includes: learning outcomes the learning resources, practice and activities assessment practices and tasks. 22 Professional discussion and feedback It s important to find time to meet with your mentor/experienced colleague after they have visited your classroom. The professional discussion you have will focus on the effectiveness of your action plan to develop the learning of the content you are delivering for your selected students. The professional discussion should be evidence-based. This means that the evaluation of student learning should be based on observations of what students were doing and what they produced. Using evidence of what has been seen in the classroom, what has been heard and samples of student work will assist in focusing the feedback. The samples of students work that formed part of the discussion can be included in your evidence of professional practice to show the learning of the students you are teaching and the effect of your practice. During the discussion you may identify areas of the action plan that will be revised. These changes could be the focus for subsequent visits to your classroom by your mentor. You must record a summary of the professional discussions that arise from collegial practice in your classroom during implementation of your action plan. Witnessing your practice The presence of another teacher in your classroom can be a way to verify that your practice is competent in relation to the standards. Your mentor/experienced colleague will observe your capability and reflect on this in relation to the standards for proficient teachers. The feedback they give you should be primarily focussed on your inquiry question. However, at times they may also be able to provide feedback on other areas of practice. Where this feedback indicates competent practice this should be included in the summary of the professional discussion, as it will strengthen your evidence of professional practice. WHAT TO INCLUDE The dates and outcomes of at least three mentor / experienced colleague visits to your classroom. Evidence of the elements of your practice that were effective and what you did to support student learning. By the end of this section you should have implemented your action plan including: 0 worked with your mentor/experienced colleague in your classroom on at least three occasions engaged in professional conversations and received feedback on the effectiveness of your action plan to address your inquiry question modified your teaching strategies and/or teaching and assessment resources in relation to feedback and personal observation gathered evidence about the effectiveness of your action plan. 23 Evaluating your practice () Students context/ content It s important to evaluate the full impact of your practice at the conclusion of your implementation. Your prime purpose is to see whether your focussed practice improves the learning of the students. () Evaluating practice () Implementing action plan () Inquiry question () Action plan (B) Professional learning A ASSESSING THE LEARNING OF YOUR STUDENTS To do this you will need to look at and assess student work samples against the learning outcomes you established at the beginning of the program of learning. This could include work that your students have produced showing the level of learning at the beginning, during and at the end of the program. It is preferable that these artefacts show a range of different learning activities and include more than one method of assessment, as this will offer a broader understanding of student learning. Where you are investigating a group of students choose a selection of those students to represent the whole. Alternatively, you may wish to aggregate evidence of learning where this is able to show the impact of your teaching practice. The best way to evidence student learning is to annotate student work samples to show the level of learning and to compare this with the expected learning outcomes. In areas of study where the artefacts of learning are not static and able to be reproduced (i.e. the production of a dramatic narrative in a Drama class, the development of physical skills in Physical Education, a performance in Music) teacher observational notes and rubrics become the artefacts of student learning. TIPS: ANNOTATING STUDENT WORK SAMPLES Annotations should identify the learning the student demonstrates and where there are errors or misunderstandings. The annotations should help you focus on your future teaching and identify areas for revision and reinforcement. Looking across more than one student artefact will provide a better understanding of learning. B EVALUATING THE EFFECTIVENESS OF YOUR PRACTICE Understanding the learning your students achieved during the program assists you to evaluate the effectiveness of your teaching practice. Did the revisions to your practice make a difference to the engagement of your student in learning? Did your students achieve the expected learning outcomes by the end of the program and how had their level of learning increased? What will you do next to continue to support the learning of your students? If there was little impact on student learning, what has that told you about your practice and what might you try next? What aspects of your own learning will you apply to other teaching situations in the future? How will you continue to develop your knowledge and practice? Use these questions and others you may have to guide a reflection on your professional learning during the inquiry period. Consider the effectiveness of your practice to support the learning of your students and your future actions as a teacher, including your future learning. 24 TIPS: REFLECTING ON YOUR LEARNING Consider both the learning of your students and your own learning. Consider what comes next to further develop this area of student learning and your teaching practice. WHAT TO INCLUDE Annotated student work samples to indicate the level of learning and achievement of the learning outcomes. An evaluation of the effectiveness of your practice using the evidence of student learning. Reflect on what you learnt and how that may be applied to other students and teaching contexts. What professional learning you would like to engage in to further develop your practice. At the end of this section you should have an understanding of the impact of your teaching practice on the learning of your students. This includes: gathered artefacts of student learning assessed artefacts of student learning in relation to your learning outcomes annotated the artefacts to indicate student achievement of learning outcomes analysed the effectiveness of your practice to address your inquiry question reflected on your learning and how it may be applied to future teaching identified areas for further professional learning. 27 RESOURCES FOR DOCUMENTING EVIDENCE IN THIS SECTION OF THE FOLDER YOU WILL FIND: A template A short guide to referencing the standards THE TEMPLATE A template has been provided to guide your collection of evidence of professional practice. The sections of the template relate to each section of your inquiry into student learning. Annotations can be added to the template as appropriate. This template provides a broad framework only and must be used in conjunction with the detailed explanation in the previous chapter to understand what needs to be included. You do not have to use the template; you can present your professional practice in a different format. However, because the inquiry has been designed to ensure that all aspects of teacher practice are referenced and evidenced, all aspects must be documented. Referring to the checklists on pages and will ensure that all components of evidence are included. Regardless of the format used you are advised to be succinct and to the point. The spacing on the template is an indication of how much to write. Include as many working documents as possible that are relevant to your inquiry. Annotation of the documents is an efficient and effective way to present practice. Dot points and sub-headings can be used where appropriate. 30 The inquiry question A THE INQUIRY QUESTION What is your inquiry question and how does it relate to the improved learning of your students? B PROFESSIONAL LEARNING Observing the practice of others (at least one observation) Date: Teachers involved: What did you see/hear? What did you learn? 8 How does this help you address your inquiry question? 36 A SHORT GUIDE TO REFERENCING THE STANDARDS DOWNLOAD PDF A school panel determines whether a teacher s evidence of professional practice demonstrates proficient practice in relation to the professional standards and their associated descriptors. We suggest that you reference where you have provided evidence against the standards using the guide below. This will ensure that you have addressed all areas required and have evidence to support you at the panel meeting. Please note: this can be used as a record for the recommendation meeting, but is not the recommendation report. Standard : Know students and how they learn ALL STATEMENTS NEED TO BE MET MET STATEMENTS REFERENCING THE DESCRIPTORS REFERENCED ON PAGE NO. Uses teaching strategies based on knowledge of students physical, social and intellectual development and characteristics to improve student learning. Uses research and collegial advice about how students learn to structure teaching programs. Designs and implements teaching strategies that are responsive to the learning strengths and needs of students from diverse linguistic, cultural, religious and socioeconomic backgrounds. This could include: Awareness and responsiveness to the background of Aboriginal and Torres Strait Islander students. Develops teaching activities that incorporate differentiated strategies to meet the specific learning needs of students across the full range of abilities. This could include: Development of activities to support the participation and learning of students with disability. 37 Standard : Know the content and how to teach it OUT OF STATEMENTS NEED TO BE MET MET STATEMENTS REFERENCING THE DESCRIPTORS REFERENCED ON PAGE NO. Applies knowledge of content/teaching strategies of the teaching area to develop engaging teaching activities. Organises content into coherent, well-sequenced learning and teaching programs. Designs and implements learning and teaching programs using knowledge of curriculum, assessment and reporting requirements. This could include: Providing opportunities for students to develop, understand and respect Aboriginal and Torres Strait Islander histories, cultures and languages. Uses effective strategies to support literacy and numeracy achievement. Integrates ICT effectively into programs ensuring meaningful learning. Standard : Plan for and implement effective teaching and learning OUT OF 7 STATEMENTS NEED TO BE MET MET STATEMENTS REFERENCING THE DESCRIPTORS REFERENCED ON PAGE NO. Sets explicit, challenging learning goals for all students. Plans and implements well-structured learning and teaching programs/lesson sequences that engage students and promotes learning. Selects and uses relevant teaching strategies to develop knowledge, skills, problem solving and critical and creative thinking. Selects/creates and uses a range of resources, including ICT, to engage students in learning. Uses effective verbal and non-verbal communication strategies to support student understanding, participation, engagement and achievement. Uses a variety of evidence, including student feedback and student assessment data, to inform planning and evaluate personal teaching and learning programs. Plans for appropriate and contextually relevant opportunities for parent/carers to be involved in their children s learning. 38 Standard : Create and maintain supportive and safe learning environments OUT OF STATEMENTS NEED TO BE MET MET STATEMENTS REFERENCING THE DESCRIPTORS REFERENCED ON PAGE NO. Establishes and implements inclusive and positive interactions to engage and support all students in classroom activities. Establishes and maintains orderly, workable routines to create an environment where student time is spent on learning tasks. Manages challenging behaviour by establishing and negotiating clear expectations with students and addresses discipline issues promptly, fairly and respectfully. Implements school/system curriculum and legislative requirements to ensure students well-being and safety. Incorporates strategies to promote the safe, responsible and ethical use of ICT in learning and teaching. Standard : Assess, provide feedback and report on student learning OUT OF STATEMENTS NEED TO BE MET MET STATEMENTS REFERENCING THE DESCRIPTORS REFERENCED ON PAGE NO. Develops, selects and uses informal, formal, diagnostic, formative and summative assessment strategies to assess student learning. Provides timely, effective, appropriate feedback to students about their achievements relative to their learning goals. Understands and participates in assessment moderation activities to support consistent and comparable judgements of student learning. Uses student assessment data to analyse and evaluate student understanding of subject/content, identifying interventions and modifying teaching practice. Reports clearly, accurately and respectfully to students and parents/carers regarding student achievement, making use of accurate and reliable records. 39 Standard : Engage in professional learning ALL STATEMENTS NEED TO BE MET MET STATEMENTS REFERENCING THE DESCRIPTORS REFERENCED ON PAGE NO. Uses the Australian Professional Standards for Teachers and advice from colleagues to identify and plan for professional learning needs. Participates in learning to update knowledge and practice, targeted to professional needs and school/ system priorities. Contributes to collegial discussions and applies constructive feedback from colleagues to improve knowledge and practice. Undertakes professional learning programs designed to address identified student learning needs. Standard 7: Engage professionally with colleagues, parents/carers and the community OUT OF STATEMENTS NEED TO BE MET MET STATEMENTS REFERENCING THE DESCRIPTORS REFERENCED ON PAGE NO. Meets codes of ethics and conduct established by regulatory authorities, systems and schools. Understands implications of and complies with relevant legislative, administrative, organisational and professional requirements, policies and processes. Establishes and maintains respectful collaborative relationships with parents/carers regarding their children s learning and well-being. Participates in professional and community networks and forums to broaden knowledge and improve practice. 7 The Guide for making a recommendation for full registration is a useful document for recording information at the panel meeting. For a copy of this guide please go to the Resources section of the PRT website: <vit.vic.edu.au/prt> Please note: this can be used as a record for the recommendation meeting, but is not the recommendation report. 41 WORKING IN DIFFERENT TEACHING CONTEXTS The following information is to provide additional information for teachers working in other contexts. Teachers reading this section will also need to become familiar with the other information in this Supporting Provisionally Registered Teachers booklet. The following is a diagram of an inquiry approach, with additional information for people working in different contexts. Some provisionally registered teachers work in teaching contexts other than schools (e.g. the zoo, early childhood settings, museums); others work as casual relief teachers (CRTs). Regardless of the context all provisionally registered teachers follow the same process to apply for full registration. The following information is provided to support evidence gathering for these teachers. Teaching contexts other than a school Developing practice in the first years of teaching is best done with the support of experienced colleagues and you will need to identify those who have experience in teaching and learning. Experienced colleagues can work with you in your workplace to develop your documented evidence. Only teachers with full registration can make a recommendation to the Institute. In circumstances where you are unable to identify teachers to support you, please contact the Institute. Casual relief teachers ADDITIONAL INFORMATION FOR TEACHERS WORKING IN DIFFERENT CONTEXTS To gather evidence of professional practice to meet the standards, we recommend that you have a sustained period of time with a group of students. Without this it can be more challenging to evidence some aspects of the standards, including reporting on student learning and interacting with parents. Refer to the table on page for further suggestions. In circumstances where you do not have employment that offers these opportunities, you could delay the full registration process until you have more sustained teaching work. At the end of your two years of registration you are able to apply for a further period of provisional registration by completing a form in your MyVIT portal. Investigating student learning Where your teaching context requires you to teach multiple groups of students then you may find the identification of your own learning needs a good starting point, rather than the learning needs of your students. Rather than a specific group of students it may be an age group or type of student. This is most relevant if you teach a range of different groups of students on any one day. Regardless of this, you will still need to annotate artefacts of student learning and analyse the effectiveness of your teaching to support and develop learning in your students. 9 Where the artefacts of student learning are not static or reproducible then rubrics for learning and teacher observational notes can become the artefacts of student learning. You may also use videos and audio recordings but you need to ensure that the appropriate permissions are sought. 43 As the diagram suggests (i), (ii) and (iii) will be your starting points. (i) Teaching context. Consider: the philosophy or ethos, priorities, policies, program initiatives the physical learning environment characteristics of students that affect learning (ii) What I need to know about this context. Consider: teaching programs resources routines, practices, processes (iii) Professional learning about this context. Consider: induction processes other staff policy documents networks internal, community Documentation for this background information should be short and concise. It provides reflection around your teaching context and leads you into deeper inquiry around your practice. Further resources to support you are available on the Institute s Provisionally Registered Teachers website < Once you have an understanding of your context you can now complete the inquiry as explained in Section of this folder. Contact the Institute if you require further advice. 44 SUGGESTED APPROACHES TO THE INQUIRY QUESTION TEACHING ENVIRONMENT RECOMMENDED PROCESS EXAMPLES An education officer/ teacher working in an organisation with a group of students of different ages from different schools. Example: Zoos, Art galleries and museums, State Library, Eureka tower, Science discovery centres, CERES, etc. You will be seeing different groups of students from different schools, probably only once. We suggest you focus on a particular cohort of students. For instance, the year level (Year students, VCE students), or the subject area (Science, Visual Arts). You may need to follow up with the teachers of the students to gather additional information or evidence of student learning. The focus of your inquiry may be: How to engage students in a limited time To investigate hook in activities Managing student behaviour How to make the learning intentions of sessions more explicit How to assess student learning at the end of the session CRTs A CRT working day by day in different classes at same or different schools. We suggest that you focus on a constant, for instance a particular year level of students or subject/learning area. This will help streamline the focus of your inquiry. E.g. managing behaviour with Year 9 students, or catering for mixed ability levels in a Maths or Art. How to assess student prior knowledge in a short timeframe How to give effective feedback to students on their learning How to differentiate instructions to enhance student learning You may need to follow up with class teachers to get additional information or evidence of student learning. 45 OBSERVING THE PRACTICE OF EXPERIENCED COLLEAGUES/TEACHERS A component of the inquiry approach to the evidence-based process is observing the practice of experienced colleagues. If you are the only registered teacher in your work place, we suggest you find opportunities to observe other teachers working in similar conditions. Some examples may be: Contact an organisation with one or more experienced teachers working in a setting other than a school and see if you can observe their teachers. For instance, Royal Exhibition building, the Shrine, Melbourne Zoo, NGV, etc. Make contact with a school to ask whether you can observe an experienced teacher in their school. You may be able to ask a school that uses your non-school setting to support their programs. WITNESSING YOUR PRACTICE It is a requirement for full registration that you have your practice observed at least three times by a mentor or experienced colleague/s. The presence of an experienced teacher in your classroom is a way to verify that your practice is proficient in relation to the standards. They can provide you with feedback that is linked to your inquiry. The following are some examples: For non-school settings The teacher accompanying the students at your non-school setting observes your session and provides you with feedback. You make a link with a school and request an experienced teacher to observe your practice. You ask your manager or supervisor to observe you. For CRTs You ask a teacher from the subject area focus of your inquiry to observe your practice. You ask the year level co-ordinator to observe your practice. SIGNING OFF ON THE RECOMMENDATION PROCESS On completion of collection of evidence through the inquiry approach you will be required to present your evidence to a panel that includes a fully registered teacher. The recommendation report is then signed by the principal or a delegate of the principal. The principal/delegate needs to be a fully registered teacher. If you have further questions about the panel or recommendation report please contact the Institute. 46 FURTHER INFORMATION FOR Casual Relief Teachers (CRTs) This type of teaching can provide limited opportunity for sustained work with a group of students and to develop your practice to meet the standards. To facilitate extended time with one group of students you need to be proactive. The following are prompts for action that may assist: Develop a relationship with a school Many schools employ the same CRT once they know they are reliable and capable in the classroom. These teachers become familiar with the school culture and students and are able to develop their practice more fully. Seek to return to schools where you are offered CRT work. When you have been employed a number of times it will be appropriate to approach the principal or relevant school leader to discuss your needs as a provisionally registered teacher and to request support to gather your evidence and be assessed by a school panel. Talk to your teacher agency about your needs Many teacher agencies are aware of the needs of provisionally registered teachers and some will help you return to the same school or will provide an extended period of teaching at the one school. You need to talk to agencies and find out the level of support they can provide. This may be a factor in selecting an agency to be listed with. Seek an extended period of time in a school An extended period of time with students provides many opportunities for you to apply your knowledge and develop your practice. Without this it s unlikely that you will be able to evidence all aspects of the standards to attain full registration. If your circumstances preclude this, then you may be able to work a couple of days a week for a period of time in the one school. It s important that CRTs realise that it may take them much longer to attain the standards if they do not have a sustained period/s of teaching the one group of students. 47 THE APPLICATION PROCESS APPLYING FOR FULL REGISTRATION OVERVIEW Provisional registration is for a period of two years with the expectation that teachers apply for full registration during this time. A teacher may take up to two years to develop their evidence of professional practice. The Institute has located the recommendation process in schools, as it believes that the school is best placed to understand the context of the teacher s practice and make a recommendation about the professional practice of a provisionally registered teacher. A panel offers a forum to discuss the key elements of professional practice and to review and affirm a provisionally registered teacher s development and achievements throughout the year. Provisionally registered teachers are advised to seek an opportunity to present their evidence and apply for full registration as soon as they have completed all parts of the evidence of professional practice and feel ready to present their work. As this evidence-based process may be used as part of the teacher s annual performance review within the school, it should take place at a time convenient to both the school and the teacher applying for full registration. THE RECOMMENDATION MEETING This meeting is an opportunity for the provisionally registered teacher to present and discuss their evidence of professional practice with colleagues and demonstrate their professional growth. Normally the evaluation of the evidence and the recommendation process is undertaken by a panel of three teachers including: the principal or delegate a mentor who has participated in the Institute s support program a teacher nominated by the provisionally registered teacher The teacher nominated by the provisionally registered teacher should know the teacher s work well and may be the teacher s mentor or another trusted colleague. The mentor should have completed the two day Mentor Training Program which is a component of the Supporting Provisionally Registered Teachers Program. Involvement provides specific training in the evaluation and recording of evidence of the standards of professional practice. VARIATIONS TO THE PANEL COMPOSITION Through an agreement at the system level, schools in the Government and Catholic sectors will convene panels as described above wherever possible. Most Independent schools follow this recommendation. Variations to the panel composition may need to be considered when schools have difficulty convening them as described. For example in smaller schools, or where only one teacher or the principal has been able to attend the support program for mentor teachers. 48 Gather evidence of professional practice Refer to pages for a checklist to help ensure you have evidence of professional practice. Provide evidence and the guide for recommendation to the panel Provisionally registered teachers should provide copies of their evidence of professional practice to the panel, allowing sufficient time to consider the evidence prior to the presentation meeting. Each member of the panel should also be provided with a copy of the Guide to the recommendation report located on the Institute website: < Recommendation meeting This is an important assessment process and must be conducted consistently. The meeting should take about 0 minutes. The provisionally registered teacher should be prepared to present an overview of their evidence of professional practice, explaining how the evidence has been developed, where they have demonstrated the standards, as well as reflecting on their work and development throughout the year. In the discussion that follows, panel members may ask questions to seek clarification and to encourage a dialogue about teaching and learning. The panel considers the evidence of professional practice Implicit in this process is a presumption of success. Each panel member should check that all components have been completed (refer to the checklist at the end of section ). The degree to which each standard has been demonstrated may vary. Please take note of descriptors to be evidenced in the Guide to the recommendation report. The panel reaches a consensus and makes a recommendation The aim for the panel is a consensus view of the evidence of the standards being met. On this basis a recommendation for either full registration or a continuation of provisional registration can be made. A recommendation for full registration does not need to reflect any capacity higher than that of competent professional practice at the proficient level. The recommendation must be based on the evidence presented but be a consistent representation of practice over time. a Providing feedback to the provisionally registered teacher Panels should inform the provisionally registered teacher of the outcome as soon as possible after the recommendation meeting. If the recommendation is for a continuation of provisional registration then the grounds for the decision need to be conveyed to the applicant. If there are concerns that a teacher s professional practice is not yet sufficiently sound, the issues should have been raised long before the application process. Complete the application online This is completed as an online process. a The provisionally registered teacher submits their application through their MyVIT account. The report is located under Forms. The teacher nominates the school that is making the recommendation of them. If not a school, then other is selected. b The principal or delegate who convened the panel locates the application in the school s portal under applications and completes the recommendation report. A copy of this report needs to be retained as a record. c Once submitted, the application form and recommendation report returns to the My Applications section of the provisionally registered teacher s MyVIT account where they confirm their agreement/disagreement with the panel s recommendation. 49 If the recommendation is made for continuation of provisional registration the teacher may disagree and seek a review by the Institute. In such cases of a disputed recommendation, both the applicant and the school will be contacted for further information. The applicant may appeal a decision of the Institute to VCAT. The decision to grant full registration in all cases rests with the Institute. AUDIT PROCESS The provisionally registered teacher should retain a copy of the original of their evidence of professional practice. The Institute samples the evidence of professional practice of a number of teachers randomly to ensure the integrity of the process. If the provisionally registered teacher is unable to produce a copy of the evidence of professional practice, full registration will not be granted. 7 Finalise the process On receipt of the application the Institute will make a final determination to approve full registration. When the Institute has granted approval for full registration a card will be produced. When full registration has been approved, information regarding how to maintain registration will be provided. For more information, go to the Resources section of the PRT website. 7 Figure : Applying for full registration. 52 THE VICTORIAN TEACHING PROFESSION CODE OF ETHICS AND CODE OF CONDUCT INTRODUCTION One of the hallmarks of a profession is adherence to publicly affirmed ethical standards. The Victorian Code of Ethics and Code of Conduct were developed by the Victorian Institute of Teaching. The Code recognises the unique position of trust and influence that teachers hold and how this shapes their relationship with students, parents/guardians/caregivers, colleagues and the community. Refer to a copy of the Codes on the following pages. Standard 7. (Meets codes of ethics and conduct established by regulatory authorities, systems and schools) and 7. (Understand the implications of and comply with relevant legislative, administrative and organisational and professional requirements, policies and processes) are two descriptors that provisionally registered teachers need to evidence in their documentation to apply for full registration. Following are examples of evidence that may have been witnessed by your mentor, other experienced teacher or your principal: Meeting records, s and other communications which show an understanding of mandatory reporting requirements Teaching and learning programs and/or lesson plans which show evidence of implementation of mandatory policy documents Classroom behaviour policy which shows the implementation of school and system policies and procedures Professional learning undertaken regarding relevant legislative, administrative, organisational and professional requirements and teacher accountability De-identified communication demonstrating compliance with relevant legislative, administrative, organisational and professional requirements Reference or endorsement from principal/employer THE VICTORIAN TEACHING PROFESSION CODE OF ETHICS As teachers, we use our expert knowledge to provide experiences that inspire and facilitate student learning. We are a significant force in developing a knowledgeable, creative, productive and democratic society. 0 The values that underpin our profession are integrity, respect and responsibility. We hold a unique position of trust and influence, which we recognise in our relationships with students, parents (caregivers and guardians), colleagues and the community. 53 We demonstrate our integrity by: acting in the best interest of students maintaining a professional relationship with students, parents, colleagues and the community behaving in ways that respect and advance the profession. We demonstrate our respect by: acting with care and compassion treating students fairly and impartially holding our colleagues in high regard acknowledging parents as partners in the education of their children. We demonstrate our responsibility by: providing quality teaching maintaining and developing our professional practice working cooperatively with colleagues in the best interest of our students. The purpose of this code is to: state the value that guides our practice and conduct enable us as a profession to affirm our public accountability promote public confidence in our profession. The Code sets out the ideals to which we aspire. THE VICTORIAN TEACHING PROFESSION CODE OF CONDUCT INTRODUCTION The Code of Conduct has been developed for and by the Victorian teaching profession. It identifies a set of principles, which describe the professional conduct, personal conduct and professional competence expected of a teacher by their colleagues and the community. It is based on the values set out in the accompanying Code of Ethics, namely: Integrity Respect Responsibility and draws on the Australian Professional Standards for Teachers, and Codes of Conduct for teachers developed by schools and other registration authorities. 55 e respect a student s privacy in sensitive matters, such as health or family problems, and only reveal confidential matters when appropriate. That is: f if the student has consented to the information being used in a certain way to prevent or lessen a serious threat to life, health, safety or welfare of a person (including the student) as part of an investigation into unlawful activity if the disclosure is required or mandated by law to prevent a crime or enforce the law refrain from discussing students personal problems in situations where the information will not be treated confidentially g use consequences commensurate with the offence when disciplining students. Principle. : Teachers work within the limits of their professional expertise In fulfilling their role, teachers carry out a wide range of responsibilities. They support students by knowing their strengths and the limits of their professional expertise. Teachers: a seek to ensure that they have the physical, mental and emotional capacity to carry out their professional responsibilities b are aware of the role of other professionals and agencies and when students should be referred to them for assistance c are truthful when making statements about their qualifications and competencies. Principle. : Teachers maintain objectivity in their relationships with students In their professional role, teachers do not behave as a friend or a parent. They: a interact with students without displaying bias or preference b make decisions in students best interests c do not draw students into their personal agendas d do not seek recognition at the expense of professional objectivity and goals. Principle. : Teachers are always in a professional relationship with the students in their school, whether at school or not Teachers hold a unique position of influence and trust that should not be violated or compromised. They exercise their responsibilities in ways that recognise that there are limits or boundaries to their relationships with students. The following examples outline some of those limits. A professional relationship will be violated if a teacher: a has a sexual relationship with a student b uses sexual innuendo or inappropriate language and/or material with students c touches a student without a valid reason d holds conversations of a personal nature or has contact with a student via written or electronic means including , letters, telephone, text messages or chat lines, without a valid context e accepts gifts, which could be reasonably perceived as being used to influence them, from students or their parents. 56 A professional relationship may be compromised if a teacher: a attends parties or socialises with students b invites a student or students back to their home, particularly if no-one else is present. RELATIONSHIPS WITH PARENTS (GUARDIANS, CAREGIVERS), FAMILIES AND COMMUNITIES Principle. : Teachers maintain a professional relationship with parents (guardians and caregivers) Teachers should be respectful of and courteous to parents. Teachers: a consider parents perspectives when making decisions which have an impact on the education or wellbeing of a student b communicate and consult with parents in a timely, understandable and sensitive manner c take appropriate action when responding to parental concerns. Principle.7: Teachers work in collaborative relationships with students families and communities Teachers recognise that their students come from a diverse range of cultural contexts and seek to work collaboratively with students families and communities within those contexts. RELATIONSHIPS WITH COLLEAGUES Principle.8: Collegiality is an integral part of the work of teachers Teachers demonstrate collegiality by: a treating each other with courtesy and respect b valuing the input of their colleagues c using appropriate forums for constructive debate on professional matters d sharing expertise and knowledge in a variety of collaborative contexts e respecting different approaches to teaching f providing support for each other, particularly those new to the profession g sharing information relating to the wellbeing of students. Section : Personal Conduct Principle. : The personal conduct of a teacher will have an impact on the professional standing of that teacher and on the profession as a whole Although there is no definitive boundary between the personal and professional conduct of a teacher, it is expected that teachers will: a be positive role models at school and in the community b respect the rule of law and provide a positive example in the performance of civil obligations c not exploit their position for personal or financial gain d ensure that their personal or financial interests do not interfere with the performance of their duties e act with discretion and maintain confidentiality when discussing workplace issues. 57 Section : Professional Competence Principle. : Teachers value their professionalism, and set and maintain high standards of competence Teachers: a are knowledgeable in their areas of expertise b are committed to pursuing their own professional learning c complete their duties in a responsible, thorough and timely way. Principle. : Teachers are aware of the legal requirements that pertain to their profession In particular, they are cognisant of their legal responsibilities in relation to: discrimination, harassment and vilification negligence mandatory reporting privacy occupational health and safety teacher registration. Performance Appraisal Policy For Teachers Department: Schools HR Advisory Team Author: Ruth Alinek Original date of Issue: April 2012 Latest Review: May 2013 Version: 3 Hertfordshire County Council 2012.